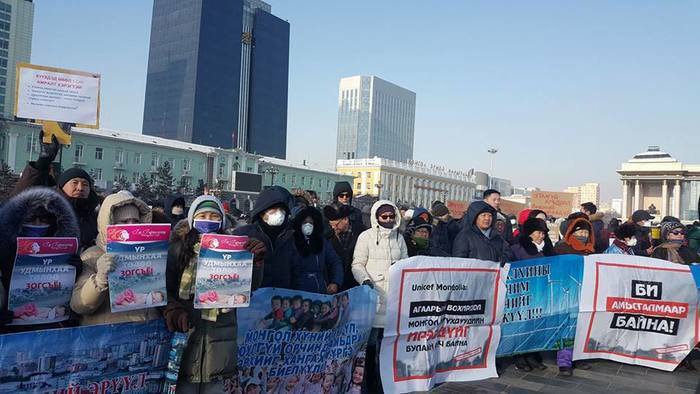 Parents rallied today at the Sukhbaatar square against the Ulaanbaatar smog. 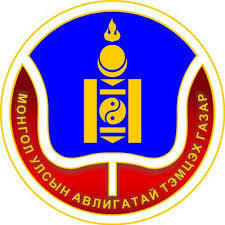 They have also delivered their request to hold the next cabinet meeting (December 28, 2016) in Bayankhoshuu area. The poisonous smog gets worse and children get sick minimum 2-4 times a year and seems it is a usual thing to have injections to battle the smog. Miscarriage had increased 4 times in winter time and how many mothers silently wiping their tears because they lose their unborn babies. 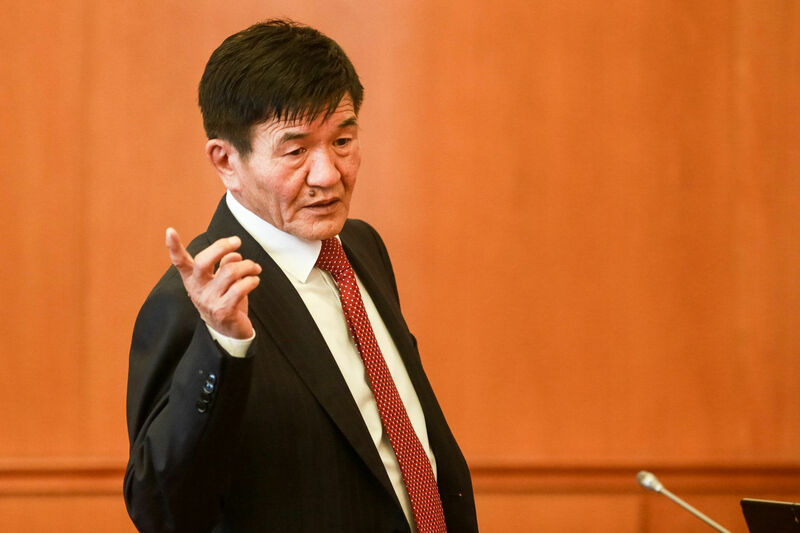 Is there a family in UB which haven’t faced these problems? Perhaps we’ve been too patient which allows the politicians to take advantage and put money into their pockets. - Accept that the air pollution reached emergency level and take tangible actions. Made relevant amendments and changes to the Disaster Law.